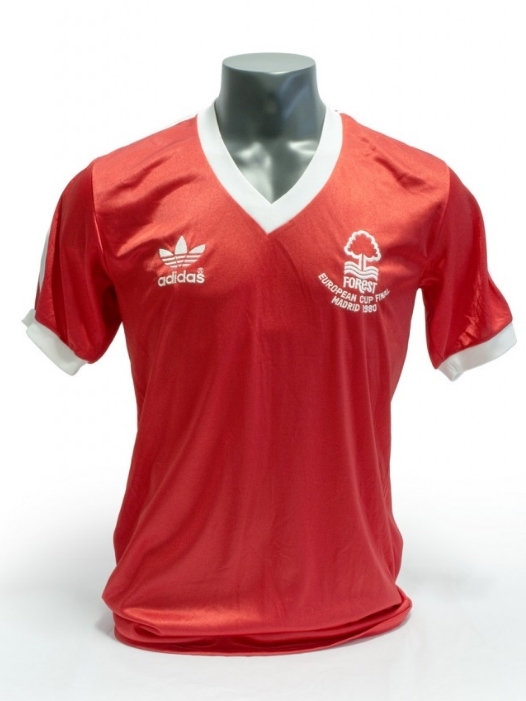 This shirt was worn by former Nottingham Forest & Scotland defender Kenny Burns on the night that Forest defeated Hamburger SV 1 – 0 in Madrid to claim back-to-back European Cup Final trophies. The win, courtesy of a goal by fellow Scotsman John Robertson, meant that Forest became the first side to win the European Cup more times than their own top flight domestic league title. Burns spent four years with Nottingham, from 1977 to 1981, and was named FWA Player of the Year during that period, and won the league title in 77/78. The shirt is on loan to The National Football Museum in Manchester, where it is often out on public display.